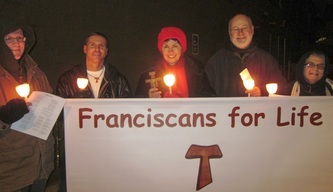 This committee assists our Fraternity by advocating the Franciscan values of justice, peace, and the integrity of creation, which are essentially the principles of Catholic social Teaching. This group fosters greater awareness of current JPIC issues and organizations globally and locally that we could participate in, both communally as a fraternity and as individuals. Francine Fosselman OFS serves on as the chair of the Justice, Peace, and Integrity of Creation (JPIC) committee of St. Josaphat Fraternity of the Secular Franciscan Order. Congratulations to St. Anthony High School senior Jazmin Trujillo, recipient of the first Franciscan Justice & Peace Award to be given by St. Josaphat Fraternity of the Secular Franciscan Order. 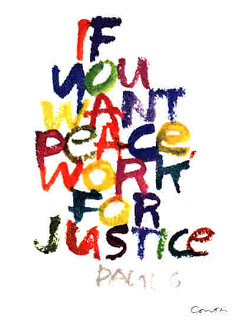 The Franciscan Justice & Peace Award was created to offer a graduating senior from St Anthony High School recognition for their understanding of the Franciscan values of justice and peace. Applicants could describe their community involvement or express their understanding of these values through essay, poetry, video, music or the visual arts. Jazmin's winning submission was a video highlighting hunger and depicting efforts to alleviate it locally through the parish food pantry. Linda Faust OFS, representing the Fraternity Council, attended the mock graduation and awards ceremony at the high school on May 8, 2015 and presented Jazmin with a certificate and a cash award of $200 for her commitment to justice and peace. Congratulations, Jazmin! 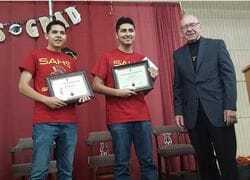 ​Congratulations to Uriel Rodriguez and Armani Diaz of S. Anthony High School who won the Franciscan Justice and Peace Award for their video highlighting contemporary social justice issues and the Franciscan value of forgiveness on 6/3/16. 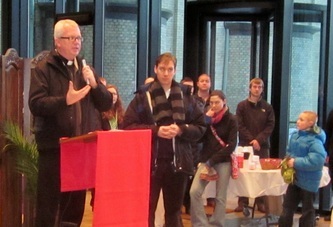 The brothers and sisters of St. Josaphat Fraternity, along with their families and friends, register together as a team (Secular Franciscan Order - St. Josaphat Fraternity) to join some 3,000 other participants each summer to run or walk along Milwaukee's lakefront to help feed the local hungry. All proceeds go to St. Ben's Community Meal and the House of Peace, Capuchin Franciscan ministries in Milwaukee. 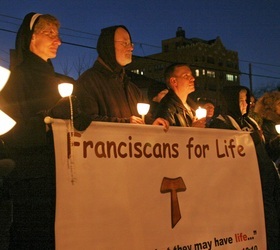 Franciscans for Life was established in October 2012 by Kurt Keidl OFS of St. Josaphat Fraternity to demonstrate a united effort among the various local Franciscan communities to pledge our solidarity with the marginalized, powerless and the outcast, and to promote a greater respect for the sanctity and dignity of human life on all levels. 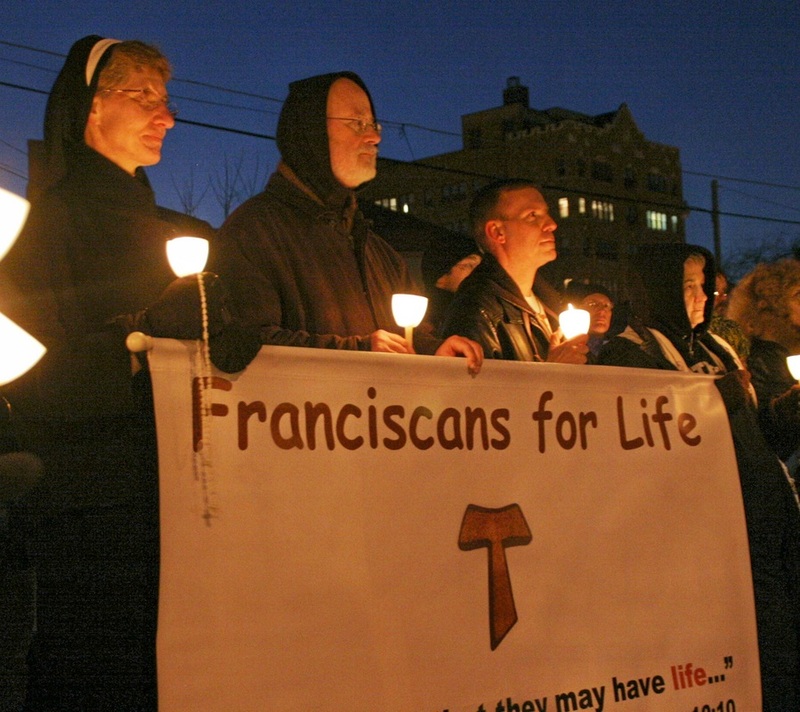 Franciscans are peacemakers who are committed to building a civilization of love and life. St. John the Evangelist in downtown Milwaukee. 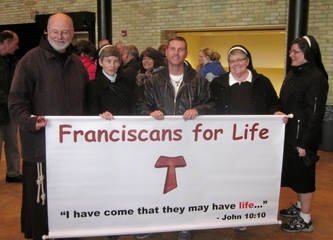 From there we processed with the Bishop, priests, seminarians, and a large gathering of the faithful to the Women’s Care Center on Farwell Ave. where we sang the Chaplet of Divine Mercy and toured the facility. 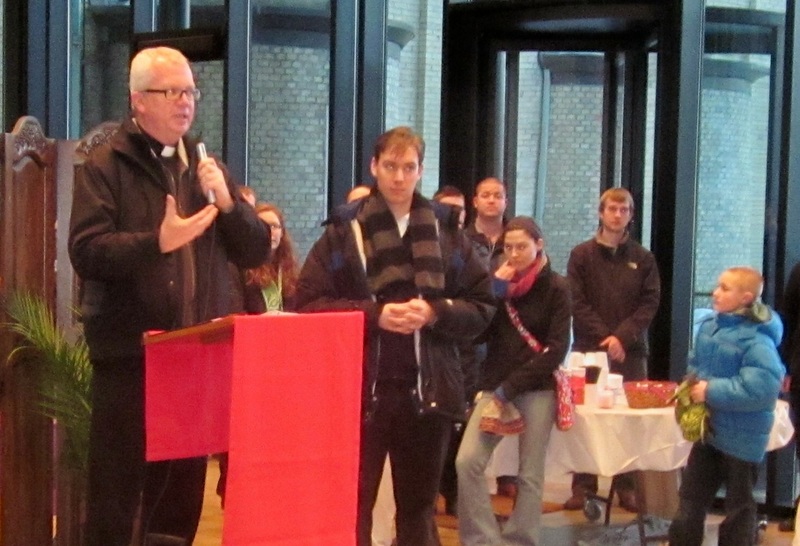 We then returned to the cathedral in procession singing Marian hymns. 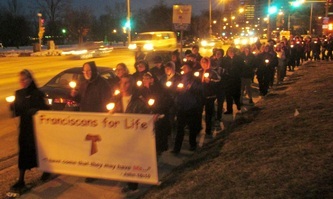 Franciscans for Life is pleased to report representation from several Secular Franciscan fraternities, the OFM friars, Franciscan Sisters of Christian Charity, Sisters of St. Francis of Assisi (Lake Drive Franciscans) and had additional responses from several people who joined us in spirit and prayer that night but could not be physically present, including the Franciscan Sisters of St. Joseph in Stevens Point. 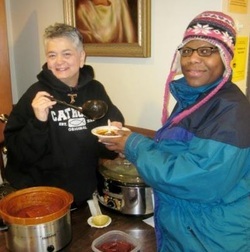 The brothers and sisters of St. Josaphat Fraternity prepare and serve delicious homemade soups and chili for the guests of the St. Anthony Parish Food Pantry (9th & Mitchell) every third Saturday of the month (September - April). 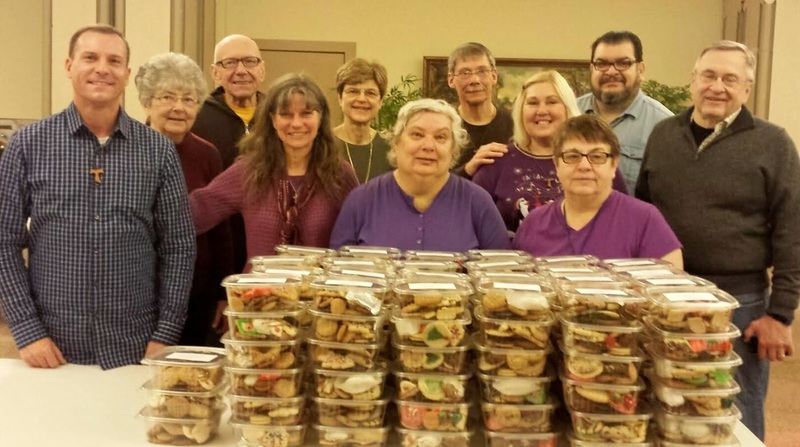 Each year, our fraternity brothers and sisters bake 10 dozen Christmas cookies each and then assemble 100 packages of cookies to be given to guests of a local parish food pantry. Once a month, our fraternity brothers and sisters volunteer to serve food, pour drinks, clean tables and wash dishes at St. Ben's Community Meal on 10th & State - a ministry of the Capuchin Franciscans. In 2015, our fraternity brothers and joined joined in solidarity for an end to violence and senseless killing on the streets of Milwaukee by participating in periodic Peace Masses throughout the archdiocese, as well as prayer vigils and peace walks.